How do I post a ticker to Facebook? Copy-and-pasting the ticker image URL into a Facebook post. 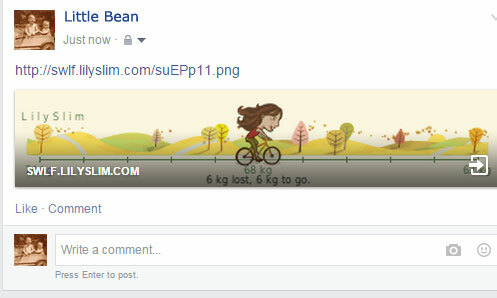 If you use the Share button, the image is formatted to Facebook's preferred width and height. How can I post my ticker to my wall as a Note on Facebook? How do I remove a LilySlim Page tab from my Facebook Page? 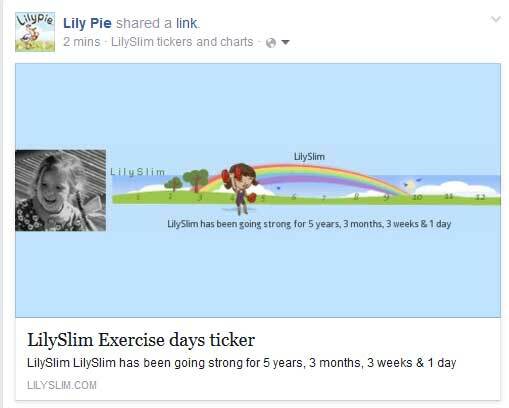 How do I add another ticker to my LilySlim application on Facebook? How do I remove a ticker from Facebook? How do I completely remove the LilySlim application from Facebook?